President Emmerson Mnangagwa says he will chart a different path from that of his much-criticised predecessor - former leader Robert Mugabe - adding that he will only serve the two terms permitted by the country's new Constitution if Zimbabweans re-elect him into power in five years' time. Zanu-PF insiders who spoke to the Daily News on Sunday yesterday said if Mnangagwa goes on to serve two full terms, as he indicated in interviews with international media in New York on Friday, this would dash the hopes of some of his ambitious lieutenants who are apparently champing at the bit to succeed him in 2023. Speaking in the same interviews, the 76-year-old Zanu-PF head honcho also reached out to disgruntled opposition leader Nelson Chamisa - revealing that he planned to hand his youthful rival an official role, as practiced by many Commonwealth countries. This comes after Mnangagwa narrowly defeated Chamisa in the hotly-disputed July 30 election to earn the substantive right to lead Zimbabwe for the next five years after he was initially catapulted into power by a military intervention which led to Mugabe's ouster last November. Speaking to the American cable television network CNN on Friday, Mnangagwa said emphatically that he would not cling on to power like Mugabe had done, but would still want to serve his permitted two term if he was re-elected in 2023. "We have now limited the terms of the president just to two terms … I will abide by that without any iota of resistance at all. Even if the people love me to be there, I will go because I believe in constitutionalism. "You must give your people a chance to have other leaders. In my view, 10 years is not a short period," Mnangagwa asserted. Zimbabwe replaced its old Lancaster House constitution in 2013 - which had been in use since the country gained its independence from Britain in 1980, and which did not prescribe presidential terms. The country's current Constitution limits the president's tenure in office to two five-year terms - with the old constitution partly blamed for having helped to entrench Mugabe's ruinous rule, which saw him lead Zimbabwe for nearly four decades. The 94-year-old did not only rule with an iron fist, he also clung onto power and resolutely refused to facilitate his succession, with ruling Zanu-PF insiders saying he wanted to die in office as a life president. All this ultimately led to his dramatic exit from power late last year, when he was replaced by Mnangagwa on the back of a military intervention code-named Operation Restore Legacy. 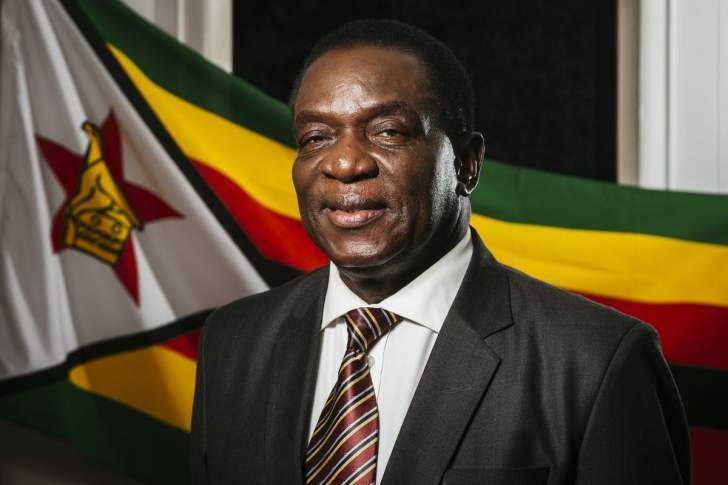 Mnangagwa who is in New York for the annual United Nations General Assembly, told another American broadcaster - Bloomberg - that he was planning to adopt the Commonwealth practice of establishing an office of the opposition leader in Parliament. "We are going to introduce the office of the leader of the opposition in Parliament. This is what we are going to do ourselves … Under the former administration there was no formal recognition of the leader of the opposition. "Under my administration, we are embracing the Commonwealth approach where we recognise the leader of the opposition," he said. The system envisages that Chamisa leads an official opposition or shadow Cabinet - which will scrutinise the actions of Mnangagwa's Cabinet, as well as offer alternative policies. Under the system, the leader of the opposition would also be entitled to a salary and be recognised as a Member of Parliament. However, Chamisa - speaking through his spokesperson Nkululeko Sibanda - has appeared to pooh-pooh the idea, instead calling for "dialogue". "Given the crisis in the country, we believe in all-inclusive national dialogue as the gateway to a lasting solution to our challenges. "Such national dialogue must not be anchored on positions but on the respect of the true outcome of this election and holding of truly free, fair and credible future elections ... a return to legitimacy and normalcy, resolving the national economic question, national healing and nation building, political, constitutional and institutional reform," Sibanda said. He also said Chamisa had never entertained the thought that the elections were about him. "They were about the aspirations of the people of this country. They are about the people's hopes for development and stability," he added. Chamisa has accused Mnangagwa of ballot fraud and despite the Constitutional Court ruling which upheld his rival's victory, the opposition leader still insists that he won the July 30 plebiscite. Millions of Zimbabweans cast their vote in the historic elections to choose both a new Parliament and president - following the dramatic fall from power of Mugabe in November last year. The elections were the first since 1980 to be held in the country without Mugabe's participation. But the historic elections were marred by ugly violence which broke out in Harare on August 1 which resulted in the deaths of at least six people when the military used live ammunition to break demonstrations. Following the deaths, the opposition also asserted that suspected security agents had targeted senior MDC Alliance officials and polling agents in a violent programme following the insistence by Chamisa that he had won the presidential election. All this was seen by observers as harming Mnangagwa's quest to mend years of Zimbabwe's political and economic isolation by Western governments. Prior to this, analysts had said the Zanu-PF leader had done enough to project himself and his administration as being significantly different from Mugabe - who was accused of despotism and running Zimbabwe into the ground. Mnangagwa has since sworn in a commission of inquiry to probe the August 1 violence and the subsequent army killings.